Home > Uncategorized > We Heart Sensory Play! Heart sensory bags: Take a plastic bag and draw a heart on the outside. Fill the bag with scented shampoo, glitter, cut-up straws and plastic hearts. Once complete, encourage your kids to move items in and out of the heart outline. Then have them take turns squishing the bag on a table or against a window to further stimulate their senses. Alphabet treasure hunt: Practice letter recognition by cutting out 26 hearts on colored construction paper and adding one letter of the alphabet to each. Hide the hearts around your house and have your kids search for them. Once they’ve gathered all 26, ask them to arrange the letters in alphabetical order. Depending on their abilities, you can also have them spell out Valentine-themed words like heart, love and friend. Valentine sensory bin: Use a package of uncooked rice or pasta and a pack of small multi-colored heart erasers or plastic hearts to create a Valentine sensory bin. Bury the hearts in a plastic container and let children dig for the items with their hands or a spoon to enhance fine motor skills. 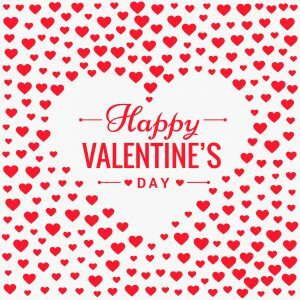 Valentine’s Day cards: Help your kids create Valentine’s Day cards for family and friends with paint, markers, stickers, glitter and construction paper. Cutting, pasting and coloring is good for their sensory development, as well as creativity and fine motor skills. Need more tips you can use at home? Contact Kids for the Future’s therapists at 870-633-1737. 7 A.M - 5 P.M.